Her family no longer believed in Mormonism, but she still had tenure at the church’s flagship university. 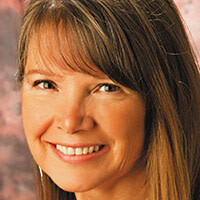 Lynn K. Wilder on her heart-racing days hiding her apostasy—and her path to a new faith. The summer of 2006, my husband and I mustered the courage to drive two hours away from our largely Mormon community in Utah to attend a non-Mormon church on a Saturday night. That way, no Mormon friends or priesthood leaders could possibly see us. We were paranoid, worried that if someone from Brigham Young University saw me at a non-denominational Christian church, I would lose my ecclesiastical clearance and my job as a professor. My colleagues at secular universities would never have believed I could lose my job over religion. I could imagine the conversation. Our son had faced similar dangers. He risked everything—faith, family, friends, girlfriend, college scholarship, respect—by stepping out of Mormon belief. This son stood before a roomful of fellow Mormon missionaries in Florida to say he had been reading the Bible and now believed in a God of grace—meaning he no longer needed to perform the “good works” outlined by the Mormon church in order to be saved. That was a remarkable act of courage for a 20-year-old in Mormon culture. He was deemed unworthy to be a missionary and sent home. He had been willing to face the consequences. I didn’t understand how or why. But I began investigating this God he found so compelling. My husband Michael was guarded. He knew that if we bucked the Mormon church, I’d never work again. My apostasy would be splashed across the pages of the Mormon-owned newspaper and the Mormon-owned TV station in Salt Lake City. Who knows what else they could dredge up to report? Then all those years, all that money, all those skills would go down the drain, and we still had three kids to put through college. But Mike had vowed long ago that whatever we decided spiritually, we would do together. When we parked at the church that first night, I realized that one of my BYU colleagues lived close enough to recognize my car. Every time we drove the two hours there, we sweated bullets for fear of being discovered. The first night we were there, the pastor preached directly from the Bible about the cross on which Jesus had paid my debt. This was a foreign concept to me. Mormons don’t revere the cross. They see it as an instrument of death, not the place where Christ became the savior. That night, I dreamed of a square, three-story, concrete building that was dark and dingy with filth, dust, and cobwebs. It had stairways, hallways, and elevators that went nowhere—there was no way out. The next night, I dreamed of the same building again. I barely recognized it. This time, all four walls were glass. They sparkled. Light streamed everywhere. It was orderly, with stairways, hallways, and elevators going somewhere. Soon after that, I read in Corinthians: “You are God’s field, God’s building”; Ephesians said that Jesus died on the cross for the church, “cleansing her by the washing with water through the word.” I read my Bible, sometimes hours a day, and truly felt I was being washed. In its pages, I met a Jesus who was able to save me from my life of working to be “good.” The cross meant that none of that mattered—I was saved only by God’s limitless love. The cross that symbolized that love was so powerful to me, my husband and I went to the Provo Mall in early December to buy a necklace with a cross on it. The jewelry store employee said since the cross is an offense to the local Mormon population, they did not display them openly in the case. We were ushered into the back room to view the few they carried. On a crisp Christmas day in 2006, I removed the Mormon temple garments—the famous “special underwear”—I had worn for 30 years and replaced them with the cross necklace. Wearing the cross on the BYU campus would be problematic. The university is a theocracy, not a democracy; if I was caught, I would be called in by my superiors and lose the ecclesiastical clearance I needed to work there. Even though I was tenured, if I left my once-beloved Mormon faith, I would lose my job. So I wore the cross underneath some high-necked clothes and applied for jobs in Florida. Once, while vigorously erasing the whiteboard, I discovered my cross had popped out in front of the class I was teaching. I held my breath, wondering who would turn me in. The fear stalked me. One day in my office, I reached for the cross and it was gone. Gone! I retraced my steps and couldn’t find it, so I strode across campus to the lost and found, presented the female student worker with my faculty ID, and asked her to please look for a small silver cross. She looked up at me. She seemed shocked when she returned with four large crosses, but none of them were mine. Still perplexed why a faculty member would want a cross, she said, “I’m sorry you couldn’t find your family heirloom.” Of course that must be it—the cross must have sentimental value. Minutes later as I approached my car in the parking lot, I heard footsteps behind me. It was the student worker. “You won’t believe what happened! As soon as you left, someone came in with your cross.” I sat in the car and smiled. Four months later, I shocked my boss by handing her a request for a leave of absence. Michael, too, had decided to leave Mormonism behind. Like me, he no longer believed that Joseph Smith, the polygamist founder of the Mormon church, was a prophet of God. I accepted a job in Florida. For another year I fought the dread of my apostasy being discovered. But, it was not, until I voluntarily resigned and then “came out” on a Christian Salt Lake City-based TV show in 2009. Then the opposition hit the fan. I was stupid, a liar, an adulterer, a drug addict, and had committed gross sins. Someone posted a derogatory video about me on YouTube. I heard from former students, colleagues. Despite the rejection I faced from 30 years of friends, despite the fact that I lost status, position, money, might lose children and our home, I walked away and never feared again.